Hi everyone I am Val! 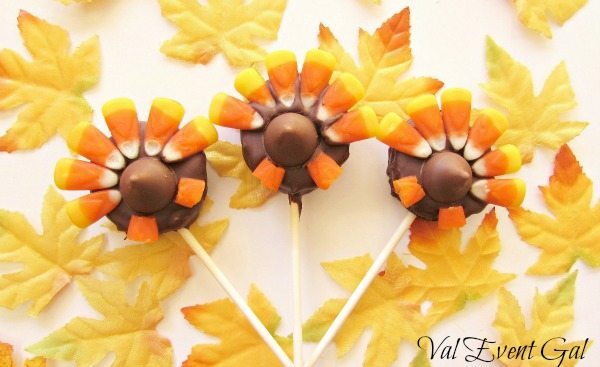 I am so excited to be sharing these cute Turkey Tail Oreo Pops with you. I know right now we are all getting ready for Halloween. 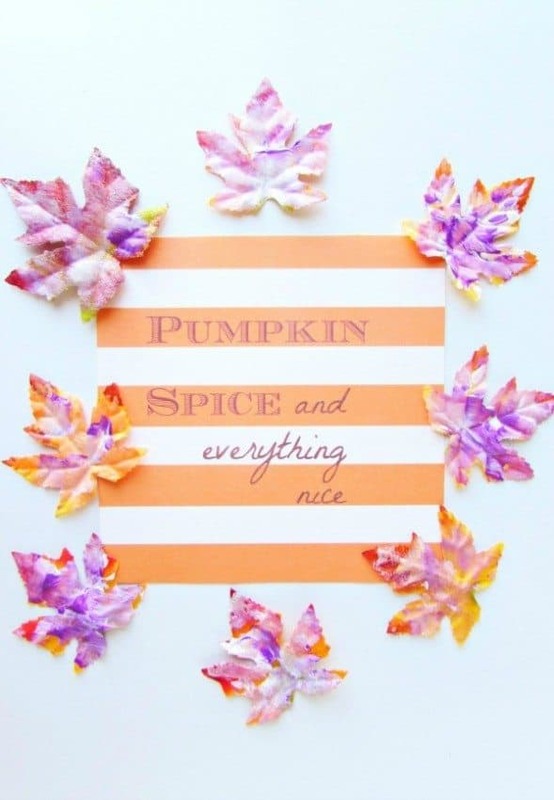 At this point everyone probably has seen a million Halloween treats and are kind of over it. I already have all of my Halloween ideas planned out so now it is time to think about Thanksgiving. 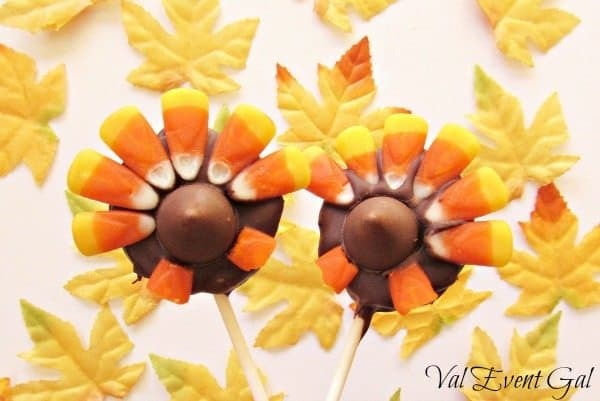 I made these Turkey Tail Oreo Pops and they were really easy to make. Plus absolutely adorable! These are definitely kid approved. My daughter thought they were fun and delicious, she is the best taste tester! I had to make them disappear so she wouldn’t have too many. I love all of the food at Thanksgiving, but I can’t really be trusted to cook. Baking I can do. Cooking I leave up to the experts like my Mom and Grandmother. Whoever is hosting Thanksgiving usually assigns me some type of dessert. I definitely can’t be trusted with the turkey or even mashed potatoes. My last attempt at mashed potatoes was terrible and lumpy. Some of my cooking has improved with practice but I definitely have a knack for messing up recipes. Baking and desserts are more my thing! I love making pies, apple and pecan pie are my favorite! My daughter really doesn’t like pie so I try to also make her something that has chocolate. If you are cooking a lot for Thanksgiving you might want an easy no bake dessert. 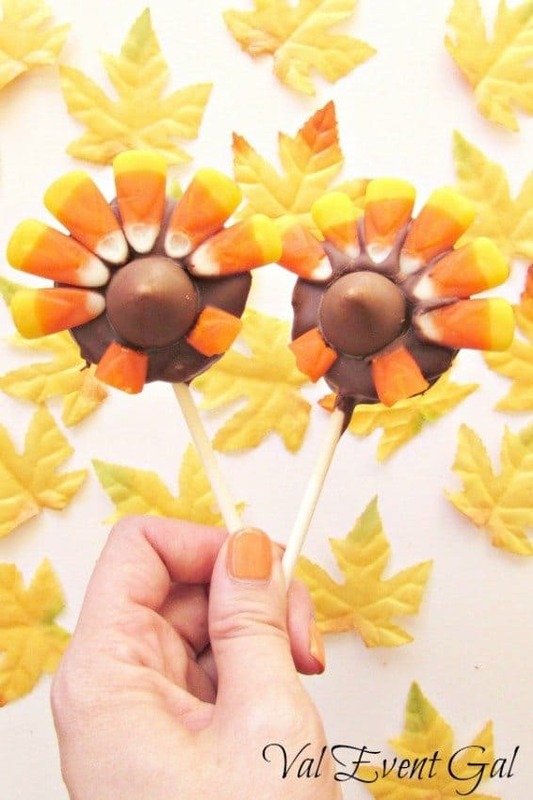 Also, if you are the person like me who can’t actually cook you can still impress your family with these cute Turkey Tail Oreo Pops. 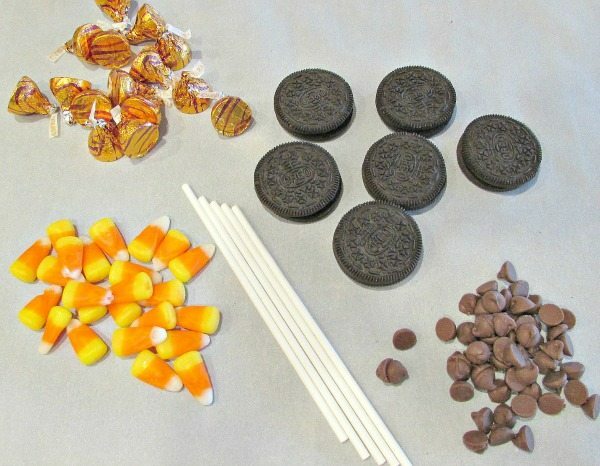 I have to say candy corn on their own are not my favorite but combined with the chocolate and Oreo they are seriously yummy! To make the Oreo pops take two oreos and separate them. Use the sides with the cream filling. Press the lollipop stick into one of the Oreo pieces and cover it with the other Oreo piece, press them together firmly. Microwave the chocolate chips in a bowl on 50% power or a defrost setting for 2 minutes. Stir the chocolate and continue to microwave in 30 second increments until the chocolate is melted. 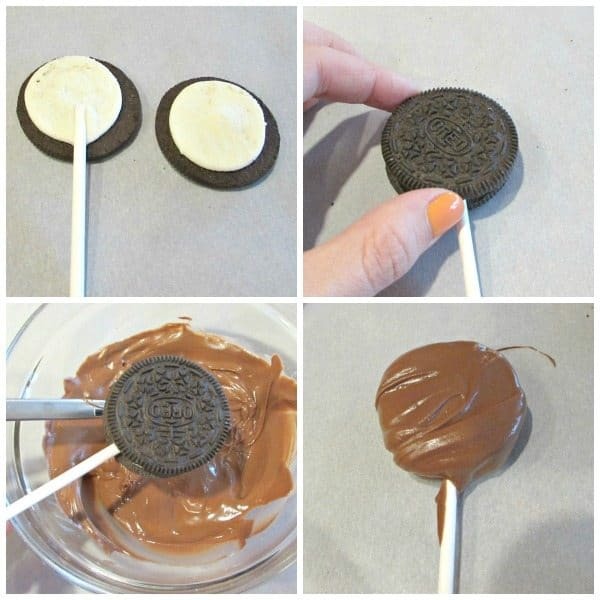 Dip the Oreo pop in the chocolate. You can use a spoon to make sure it is covered and gently tap it on the side of the bowl to get off any extra chocolate. Place the dipped pops on a cookie sheet lined with parchment paper slightly spread out. Put a Hershey Kiss in the middle of the pop. For the feet take candy corn and cut off the yellow and white parts. Place two of the orange pieces underneath the Hershey Kiss slightly to the left and right sides (as shown above). 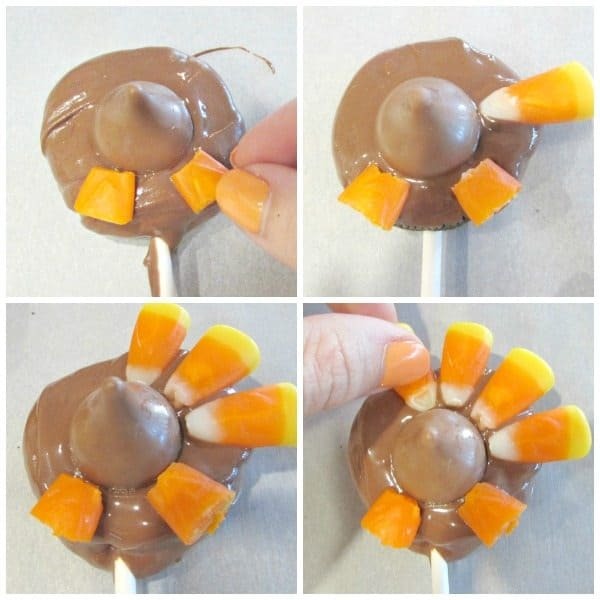 Take candy corn and put one piece straight out to the right with the yellow part facing out. Continue to put the candy corn around the top and to the left. It should fit 5 or 6 pieces of Candy Corn. Put them in the refrigerator for an hour to dry and you are done! 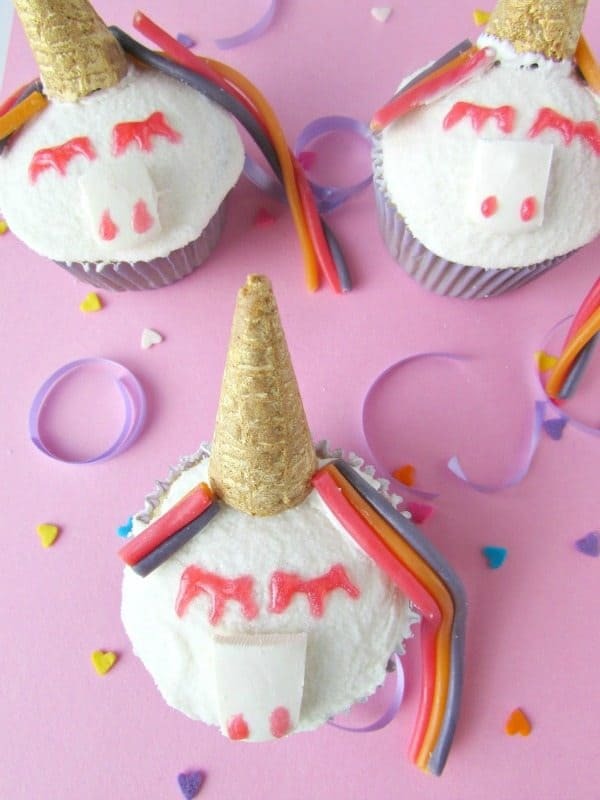 This is a great dessert to make with the kids. My daughter was a good little helper, at least for the first 15 minutes ;). 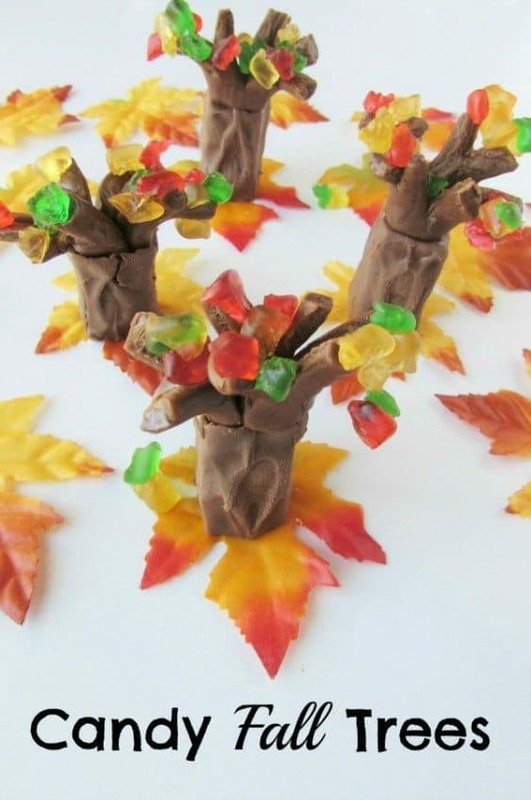 It is a fun and easy dessert that the kids will absolutely love! You can also wrap them up in little bags to give as a to go treat or to hand out to friends. OK, these are going to be the kid favors at the Thanksgiving table this year! Absolutely adorable. Thanks for the recipe. Pinned!